No matter how dismal the fight scene may be at a given time, fans can always cherish and take comfort from the sport’s glorious history. 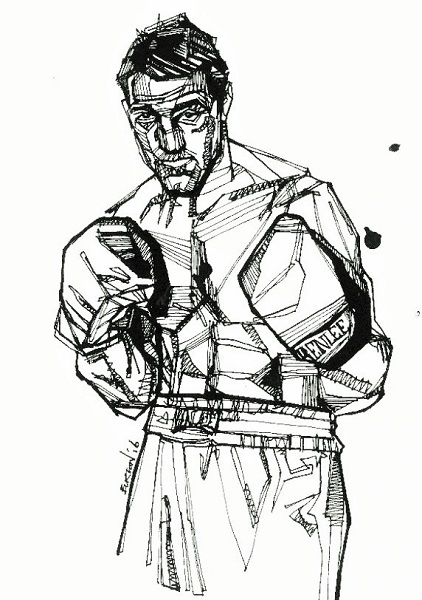 As a measure of greatness, the past holds a crucial place in boxing, with prizefighters pondering their relative historical worth and fans obsessing over fictional matches between warriors of different eras. They may not be the majority, but it’s still easy to find people who would rather analyze Rocky Marciano vs Muhammad Ali instead of Anthony Joshua vs Deontay Wilder. Floyd Mayweather’s self-branding as “TBE” reflects this preoccupation, as did Muhammad Ali declaring himself “The Greatest.” Ali, you may recall, told you not only how he would “whup” his contemporaries, but also his predecessors. In fact, when Muhammad Ali was temporarily exiled from the ring in 1969, people actually paid good money to watch a movie of him and the retired Marciano performing a choreographed bout whose result was supposedly decided by a computer. The past is always in mind, even palpable, for ardent fight fans. Tellingly, boxing is the sport where a grand champion like Larry Holmes defines his own worth by whether the deceased Marciano could carry his jockstrap, instead of by his own myriad accomplishments. Much care goes into the cultivation of complicated ideas and theories about these fictional boxing matches that will never be made, into arguments that can never be proven or refuted. One cannot lose the argument that Marciano would beat Ali, or vice versa. On the surface then, it seems laughable that people would waste their time debating such things. 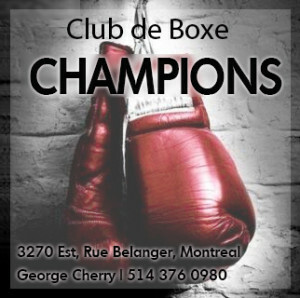 But for all their potential for onanism, these exercises also portend something lovely about boxing and its adherents, namely the need to define and testify to its greatness in ways that transcend the historical limitations of time and space. 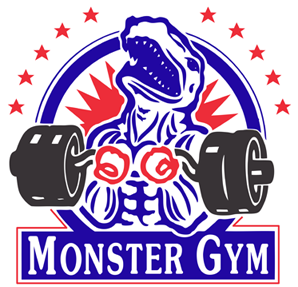 But in the quest to uncover this mythical purity, investors in the fantasy match-up have perhaps overreached. 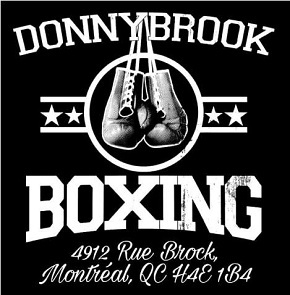 The biggest limitation to their approach is the reduction of boxers to their primes. Fictional match-ups, say between Ali and Marciano in the movie version, are almost always assumed to be between fighters in the primes of their careers, on nights when everything is working for them. But this fixation on prime greatness limits discussion and reduces critical thinking about the all-time worth of great fighters. Take the example of Ali vs Marciano. The consensus now is that Ali would beat Marciano, but this was not always the case and in fact the choreographed movie version shown in the United States had Marciano knocking out Ali in round 13. But today you would be in the minority if you argued Rocky would win, much less stop Ali who, in the decade after the movie, proved himself equal to any heavyweight in toughness, including Marciano. This negation of what was once perceived to be Marciano’s greatest advantage renders the fantasy far less intriguing. At this point though, we do not have to be finished with Ali vs Marciano, even if we assume that the 1967 Ali would defeat the 1955 Marciano. Even if you think prime vs prime Ali would win, how far from his peak would Ali have to be before he would lose to the 1955 version of “The Rock“? 1974? ’75? ’76? Ali’s improbable loss to Leon Spinks happened in 1978, so surely by then, right? The majority opinion that Ali would beat Marciano only emerged during Ali’s post-prime, when his compromised speed forced him to tap into new reserves, namely his chin and will. More to the point, one should not assume that the younger Ali would necessarily do better in a bout with George Foreman than the 1974 version. 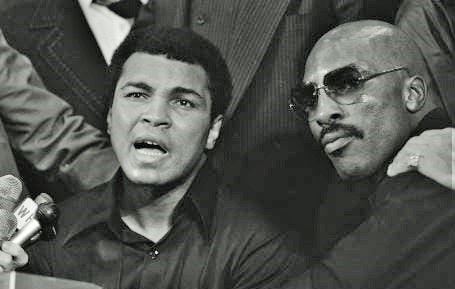 Keep in mind it was the younger Ali who was dropped by Sonny Banks and Henry Cooper; who gave away rounds to Doug Jones and Billy Daniels; who panicked and asked Angelo Dundee to cut off his gloves in his first match with Sonny Liston; and, despite dominating, just could not drop Ernie Terrell or Floyd Patterson. Prime Ali: dominating Floyd Patterson in 1965. Prime versus prime is overused to measure historical worth, and dominance does not always measure greatness. Boxing fans make these mistakes most often when assigning value to all-time victories. When thinking about what was Muhammad Ali’s greatest performance, I am less attracted to the usual suspects, the matches where Ali utterly destroyed the opposition. Some of boxing’s most legendary wins, although clear expressions of dominance, are overrated as meaningful tests of the victor’s greatness. And I would argue that Ali’s true value did not become fully evident until after he ceased to dominate and encountered new and more arduous, and hence, more meaningful, tests. When I assess the worth of Muhammad Ali’s various wins then, I try not to be blinded by his speed and dominance but instead attuned to his courage and resiliency, which I ultimately see as Ali’s core strengths not only as a fighter but also as a human being who resisted an unjust Vietnam War draft and was willing to become the public face of Parkinson’s disease. There’s Clay the fighter, and then there is Ali the man. Both were great, but there is a difference between the ring skills that characterized his pre-exile wins and the core strengths he brought to the ring post-exile. Ali’s skill and talent as a heavyweight of great speed and style, and his inner fortitude as a man of courage who stood up for social change, and against the Vietnam War, were both key aspects of his ring greatness. And both, it should be remembered, were buttressed by Ali’s unique wit and intelligence. Thus for me the greatest winning performance of Muhammad Ali’s career — and I feel strongly convinced of this — is his title defense against Earnie Shavers in September of 1977. 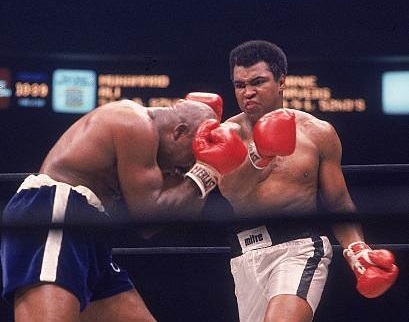 In that 15 round struggle, Ali’s ability, confidence, character and intelligence were all on display to a greater degree than any other performance, with the possible exception of his defeat to Joe Frazier in 1971. If your immediate reaction to this is “What about ‘The Rumble in the Jungle’?” then please actually watch that fight and stop taking your cues from the When We Were Kings movie. 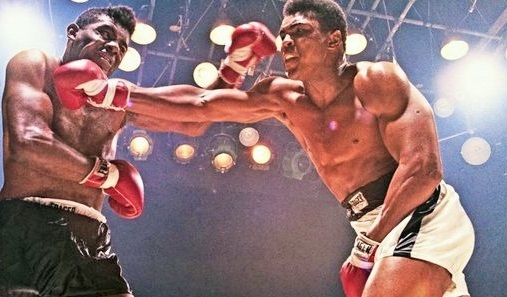 Before that film, there was another movie entitled Muhammad Ali: Skill, Brains & Guts, but it was in Ali vs Shavers — more so than against Foreman or Frazier — that Ali had to call on all three elements in tandem and put them to most effective use. 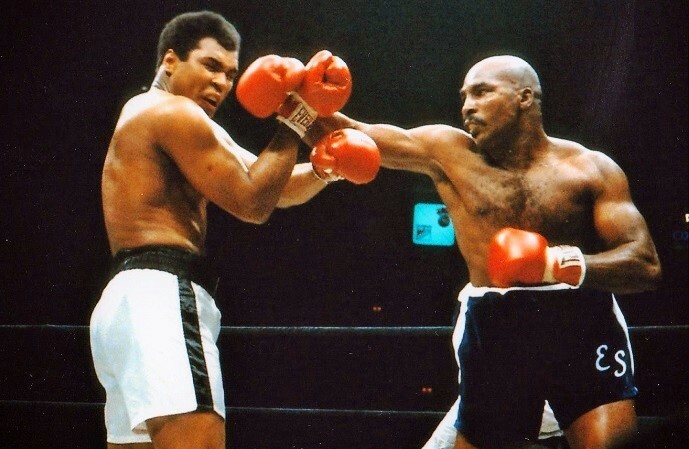 Known even by the casual fan, perhaps undeservedly, as one of the three heaviest hitters in boxing history, Shavers faced Ali when the aging champion’s loss of speed and compromised fundamentals made him easy to hit. During what was undoubtedly the finest performance of his career, Shavers would land the biggest blows he could summon, many times, but Ali’s chin held up repeatedly, and as he took those bone-jarring punches, Ali figured out ways to prevent Shavers from following up and taking further advantage. At different points in his career Shavers would let hurt opponents get away, most significantly Holmes and Ron Lyle. But in those bouts, it was Shavers’ physical limitations which cost him. Holmes outboxed Earnie and Lyle outfought him, and he tired in both contests. But against Ali, he was defeated because the “The Greatest” out-thought him and cunningly exploited his insecurities about those same physical limitations, particularly Shavers’ weak stamina. 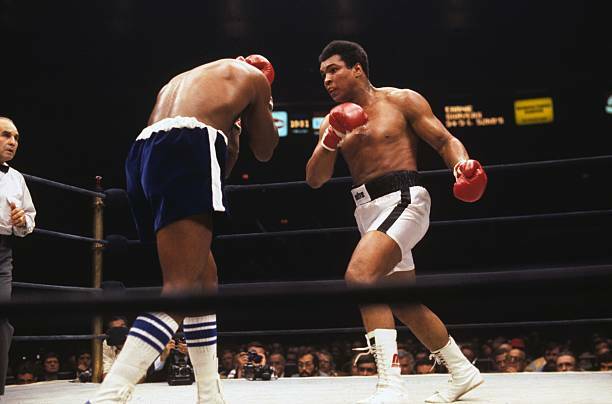 Early in the match, Shavers learned he could time Ali’s once-brilliant jab and counter with the right hand; thus the champion had to abandon that most crucial of weapons, the left lead. Ali stayed on his toes early, where he could outbox Shavers and win rounds when needed, but the obvious truth was that the 35-year-old champion could no longer dance for 15 rounds, even if he wanted to. Instead he had to take the mortal risk of making Shavers come to him when Earnie was still fresh and most dangerous. In other words, for Ali to win the fight in the later rounds, Shavers had to be convinced to win some of the early ones. But all of this had to be done with Earnie completely cognizant of the “rope-a-dope” and paranoid about his own ability to go the distance. Shavers had Ali hurt in round two, but became wary at Muhammad’s clowning and let him get away. While the fighters split the next six rounds, with Ali winning all the odds and Shavers winning all the evens, as the bell sounded to end round eight, many must have sensed that the champion’s title was in jeopardy. Shavers had the clear advantage. He had landed all of the fight’s most damaging blows and appeared to be pulling ahead. It was then, though, that Ali dug deep and somehow found the energy to turn the tide of the fight, sweeping rounds nine through twelve and putting the challenger away on the scorecards, if not yet in the ring, by taking advantage of Shavers’ desire to pace himself. 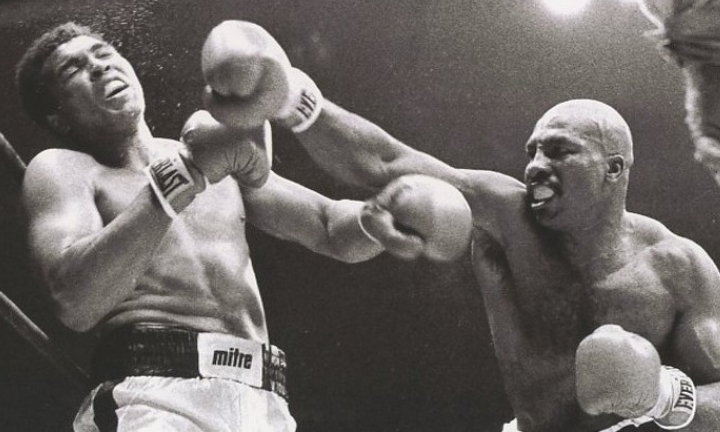 Earnie became more aggressive in the later stages and in rounds 13 and 14 he took over, the challenger even letting out a war cry to start the penultimate round, a stanza which saw an exhausted Ali once again stung and buckled by the challenger’s lethal right hand. But while Shavers had become aggressive and appeared in control, he had held back too much and for too long due to his fear of exhausting himself. This was the psychological trump card that Ali held, though nothing less than the courage and durability of an all-time great was required to employ it. And though the champion would be stripped down to just a few core advantages by the end, it was Shavers who got the worst of it in round 15 as a desperate and exhausted Ali heroically withstood still more heavy punishment, before standing toe-to-toe and out-slugging Shavers, even staggering him in the final seconds. Minutes later it was announced that Ali had won a hard-earned unanimous decision victory. He had gone to war with yet another big puncher and once again saved his title by a slim, yet clear, margin. It’s one thing to be great, and Ali surely was great at his peak, more so than any other heavyweight. 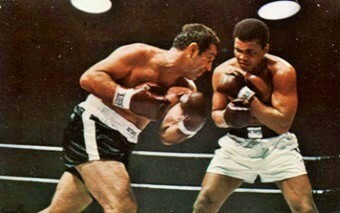 But what really makes Muhammad Ali a part of the all-time, pound-for-pound conversation is his post-prime excellence. No great fighter in boxing history depended more on an entirely different set of strengths in the second half of his career and still achieved as much as Ali, and that statement takes into account remarkable later-stage comebacks by George Foreman, Bernard Hopkins, and Roberto Duran. Ali and Shavers at the post-fight press conference. To think that the dancing master with the razor-sharp reflexes and blinding hand speed would successfully fight off the ropes against Foreman, and then stand toe-to-toe with Frazier and Shavers, is as preposterous a scenario as Sugar Ray Leonard physically dominating Marvelous Marvin Hagler and putting him down for the count. 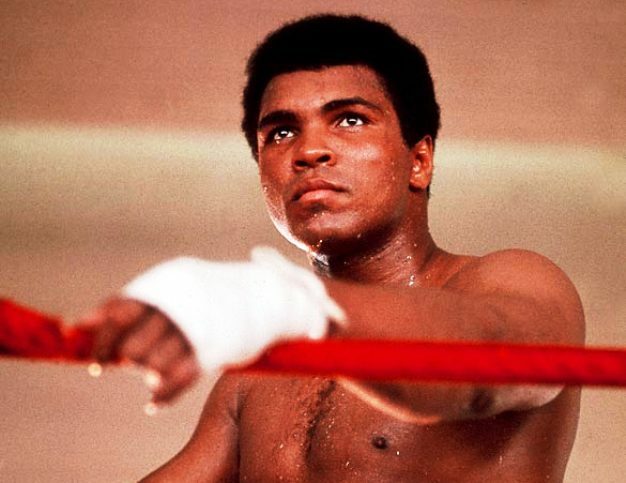 To my knowledge Ali is the only great who completely re-purposed himself in his post-prime, radically altering his go-to skill set, his most reliable tools, to fit the challenges that came with age and more formidable opposition. 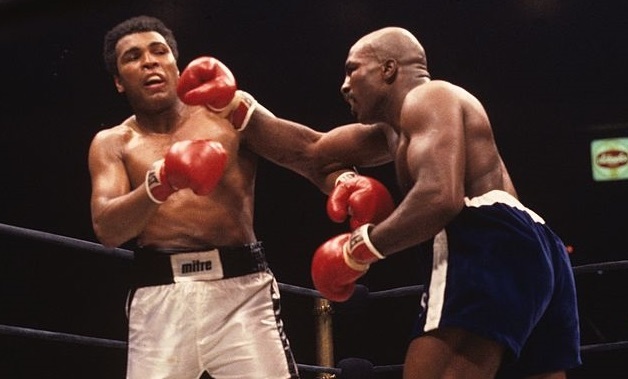 In his next fight, less than five months later, Ali lost to Leon Spinks, a novice with just seven pro fights, the result confirming that Ali was all but finished as an elite athlete. 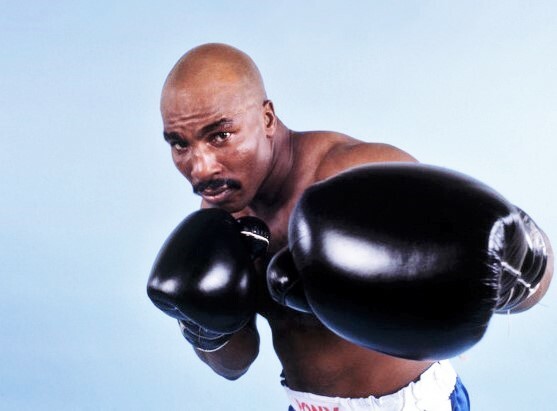 By contrast, in the two years following his loss to Ali, Shavers would blast Ken Norton out of the ring in one round and drop a prime Larry Holmes in their title fight. 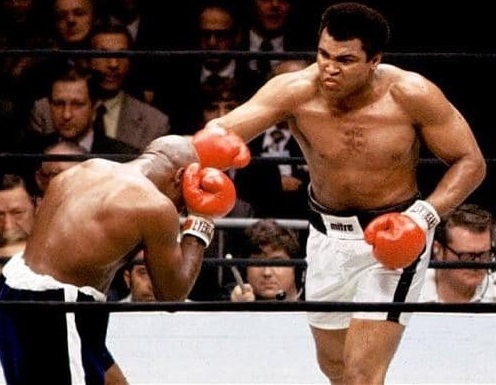 And yet, in September of 1977, a fading Ali, on little more than guts and guile and incredible toughness, somehow prevented the wheels from falling off against one of the most dangerous punchers in heavyweight history to once more electrify a Madison Square Garden crowd and his millions of fans around the world. 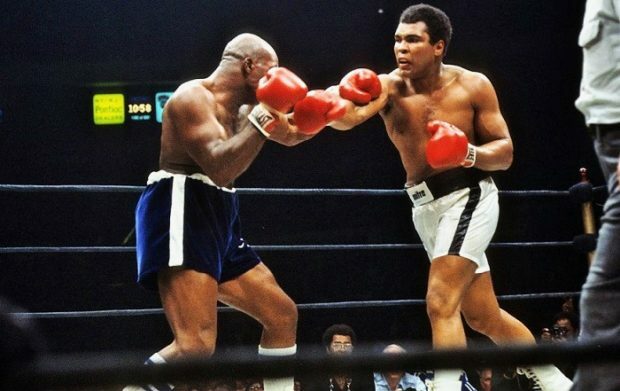 While Foreman, Frazier, or Liston should have been the ones to provide the sternest test for “The Greatest,” it was in fact Earnie Shavers who did so, and that is why I call Ali vs Shavers, this brutal and thrilling 15 round struggle, Muhammad Ali’s finest hour. Thank you for an article which I thoroughly enjoyed and which stimulated my grey matter.I’m not sure if I completely agree with you but yes,that was a magnificent performance by Ali.Indeed “performance” doesn’t truly describe what Ali did that day.You could see that the Greatest was leaving a large piece of himself in that ring. I’m sorry, but the fix was in on that fight. Shavers clearly won many of the rounds that the ref consistently voted against him on. Ali won on points that he did not deserve. 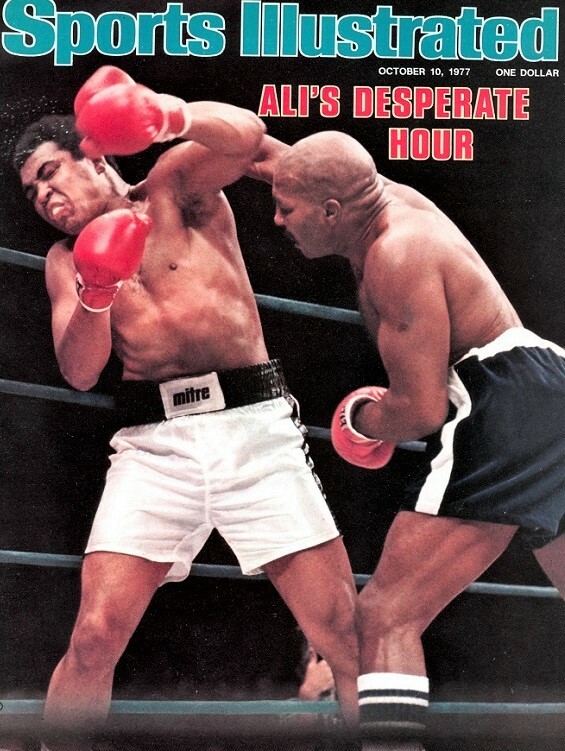 Shavers staggered Ali so many times in rounds, but yet… Ali won those rounds! What a crock!